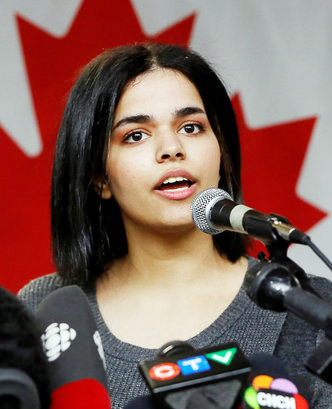 The Toronto agency that is helping Saudi teenager Rahaf Mohammed Alqunun, who was granted asylum in Canada, her has hired a security guard to ensure "she is never alone" as she starts a normal life, amid threats to her safety. Alqunun made international headlines after she barricaded herself in an airport hotel room in Thailand's capital Bangkok to avoid being sent home to her family due to fears of being harmed or killed. The family denies any abuse.